Hi-Tech Duravent has redefined hose and ducting technology based on our utilization of advanced raw materials and a problem solving approach to the market place. We are the leaders in manufacturing flexible hose and ducting for a multitude of applications including air, fume and dust collection. Customer satisfaction is the cornerstone of our company. Hi-Tech Duravent is committed to ensure customer satisfaction through high quality, continuous improvement, innovative technology and with a quick response. We, at Hi-Tech Duravent, will recommend the best and the most competitively priced hose for your application. It is our goal to make sure that what you purchase is capable of doing what you bought it to do; and you receive it when you need it! 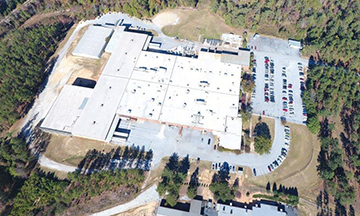 1964 – Flexible Technologies opened the Abbeville, South Carolina plant in July. to form Hi-Tech Duravent while also creating Hi-Tech Medical.